« Does a genius live in your walls? i sit in my garden watching my son. he carries a stick around and pushes pebbles around with it. he bends down and looks through his legs at the upside down world that is behind him. he talks to himself quietly. he explores his surroundings. i sit here feeling happy and peaceful and relaxed. soon i will be 30. my life is better than it ever has been and it seems to be getting better and better. it is not always good i have days that are hard but i am able to remind myself that i will have good days again and then i do! 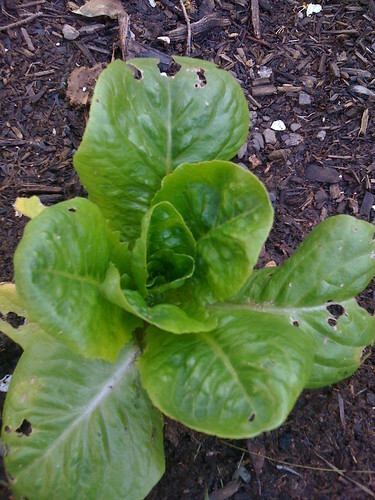 one of the things i have to look forward to is eating the lettuce that is growing in my garden. what are you looking forward to? I’m looking forward to some laid-back days this weekend and the Dancing Mermaid art thingee online class starting.